Meadowhall, which is located on the outskirts of Sheffield, is Yorkshire’s premier shopping destination and one of only six out-of-town super-regional shopping centres in the UK. Attracting 25 million shoppers every year, it provides 1.4 million sq ft of high quality retail and leisure space to a diverse range of international, national and local brands. 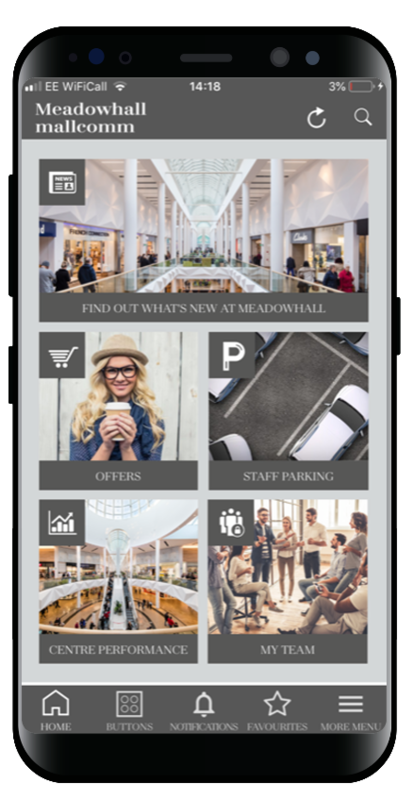 Meadowhall needed a way to communicate with over 8,000 staff and integrate the multiple tenant portals that were in place including sales collection, staff car parking and the existing extranet system. 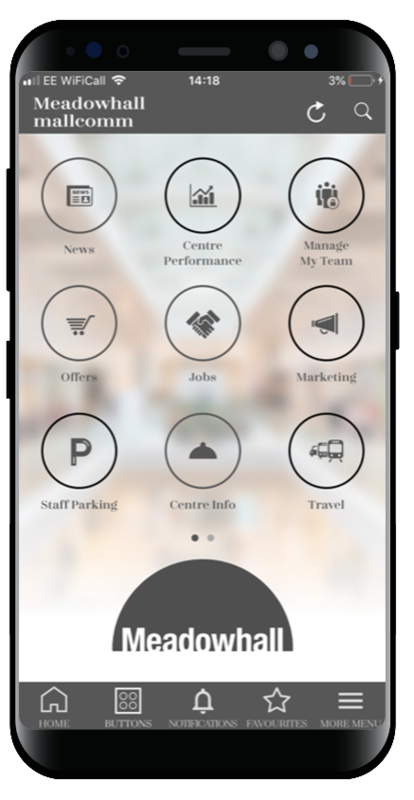 Meadowhall established Mallcomm as the app for everything the staff could need relating to work – from travel information to health & safety information.